We often make a honey mustard sauce to be used in many ways but I have run out of honey and chose to substitute real maple syrup. What a good move that was. The maple blended beautifully with Dijon with a bit of horseradish for a little bit of bite. 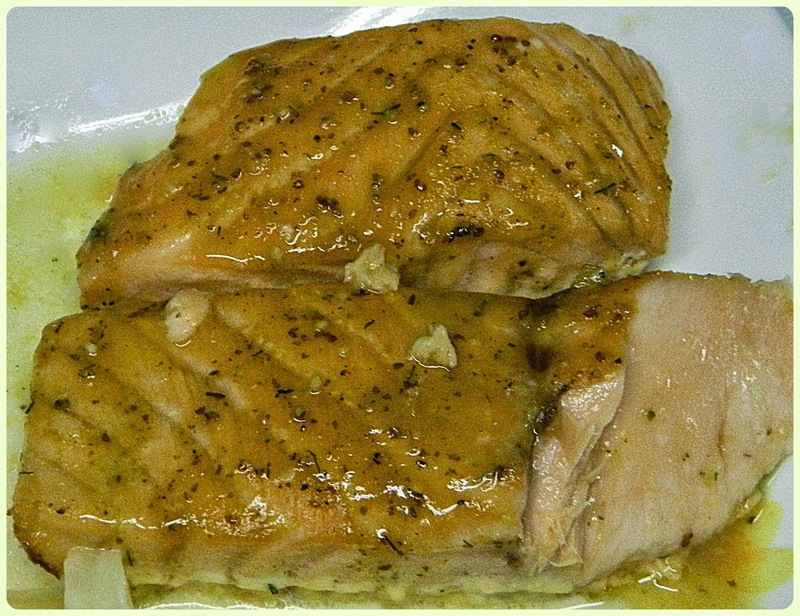 The sweetness was just right for the salmon and to counter-balance the mustard and horseradish. Whisk together the mustard, maple syrup, horseradish, and 1/4 teaspoon of pepper in a small bowl. Let sit for at least 15 minutes. Cover the bottom of a baking pan with water, a minimum just to add a little liquid. Add the salmon to the baking pan. Pour the Mustard Maple Sauce on top.